It’s been several seasons since Mr. 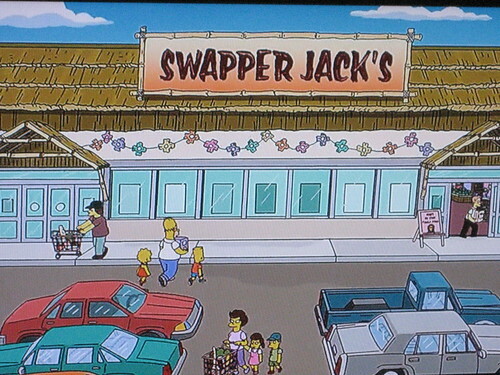 Baseball actually enjoyed watching “The Simpsons.” I think he only keeps tuning in to spot tikis for me. (Like this one from awhile back.) 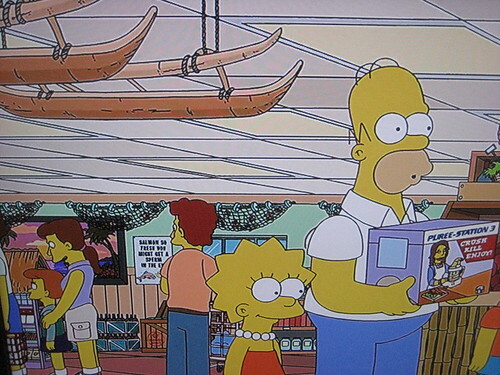 He came through again when he brought my attention to “Exit through the Kwik-E-Mart” (season 23, episode 15), which aired on March 4. 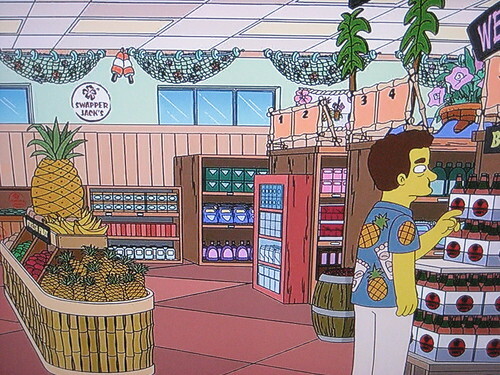 My local Trader Joe’s has lost some of its decor over the years so I liked that Swapper Jack’s was decked out with a thatched roof, bamboo, outrigger canoes, fish netting and buoys, and a couple tikis (plus more tikis on this guy’s shirt). 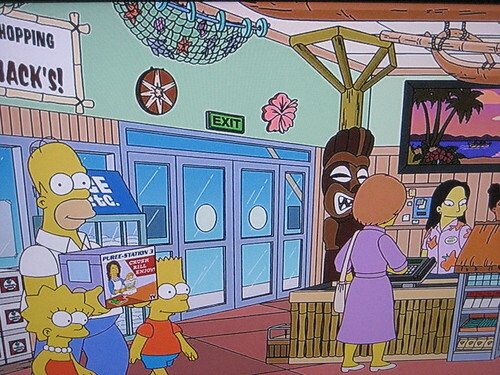 However, Apu feels threatened that his customers will stop shopping at the Kwik-E-Mart and cheat on his store at this “South Seas Sugar Shack.” (Excellent name for a tiki bar, in my opinion.) 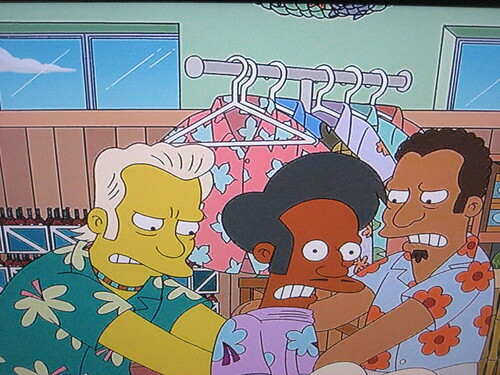 After fighting Homer with plastic toothpick swords, Apu has to be restrained with an aloha shirt. Then there’s some subplot with Shepard Fairey and everything gets resolved somehow. Anyway, here’s a picture of a tiki that I think looks like one of The California Raisins. Love it! Need to come to this blog more often!